There's a bit of marketing spin about FSP's monster PSU lurking on the box that claims efficiency scores of 85% or greater. It duly obliges, scoring higher than that at low and half loads, but then drops down to just 82% when put on full load. That's not where the spin ends though; FSP also claims an ultra-low noise fan. Sure enough, the Everest ran quietly on low and half load, keeping the unit temperature below 30ºC. As soon as we cranked it up to maximum load, the variable fan-speed controller switched to hurricane mode. 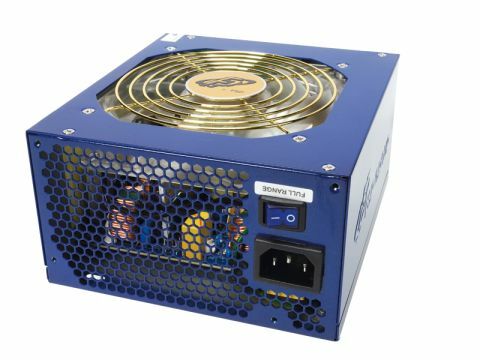 There's no denying it kept this high-powered PSU cool, but it almost knocked our Eee off the table. So while it's just as efficient as the M1000 and it's cooler to boot, it all comes at the expense of noise.